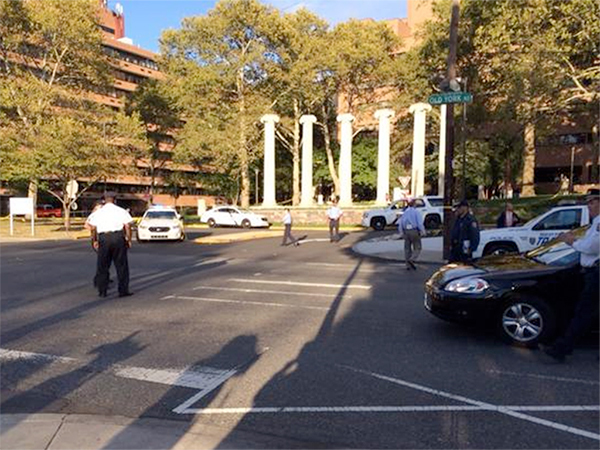 Around 4:30 p.m. yesterday a fight reportedly broke out near the Olney Transportation Center at Broad and Olney. As the fight dispersed, bullets were fired and a 15-year-old high school student and a 19-year-old male were struck. The 15-year-old girl ran up a block, reports CBS News, towards nearby Einstein Medical Center but she fell feet away from the emergency room. Einstein doctors pronounced her dead shortly after. The 19-year-old boy is in critical condition at Einstein. Police have said that the 15 and 19 year olds were innocent bystanders. Police told philly.com that the many security cameras at the busy intersection of Broad and Olney could possibly have tapped the shooter.